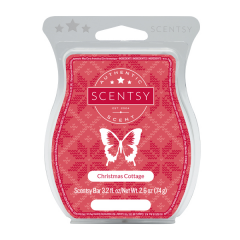 The warmth and comfort of the holidays is at your fingertips when you use Scentsy Go Christmas Cottage pods to add scented joy to your world. A festive, seasonally-inspired combination of sweet, ripe Valencia oranges, sweet-tart raspberries, earthy cloves, and delightful baking spices, it’s perfect for enjoying year-round. 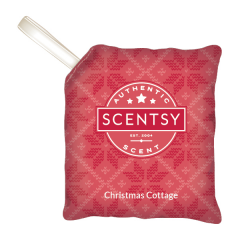 With two Scentsy Go Christmas Cottage pods in every pack, you can choose the amount of fragrance that’s “just right” for you. Use a single pod for a soft, everyday fragrance level, add another for a stronger scent, or pair up a single pod with a different scent for a unique, customized Scentsy Go experience.